After doing Wedding Stationery for some good few years now, I feel like I should share my wealth of knowledge on some of the questions that I get asked frequently by new clients; brides & grooms to be. Your Wedding Invitations play a very big part of your Big Day- and I'm not just saying this because I do wedding stationery (! )- for one, they provide your guests with the vital information that they need and of course, they set the tone for the whole day too. 1. When should you send your Save the Date's out? Once you've secured your desired Wedding Venue and you've got your date set, the next stage, is to send your Save the Date cards out. I would recommend sending these about 8-12 months before the Big Day. You need minimal information on these- leave the venue for the invitations- you want to keep your guests guessing and keep them excited to receive their invites. 2. Who do you send your Save the Date's to? Only send your Save the Date's out to your guests who are coming to the whole day. If you are having a separate guest list for the evening, you do not need to send out these Save the Date's out to them. 3. When should you send your Wedding Invitations out? I would recommend getting these out about 3-5 months before the Wedding. If you've sent Save the Dates out, you can afford for the invites to be sent out a little later. If you're a bit of a 'last minute Linda' and you've totally forgot about the invites and need to send them ASAP then don't panic (! ), it's better late than never. Here at Retro Press, we often work to tight schedules and deadlines so we're used to it and we work with you to make sure we get them out in good time. 4. Whats the usual RSVP deadline for your guests? I would always try and give your guests one month to reply. If you've sent your invites out in good time, this will enable you to chase any naughty ones who haven't replied. It will also enable you to sort out all the final numbers, etc, needed for the Big Day itself. 5. How many Invitations do you need? Don't make the mistake of ordering an invite per guest! I always suggest 1 per household/ family, 1 per couple and 1 per individual. Don't under order either... Ordering lower quantities always increases the costs, so make sure you get it right in the first instance. I always suggest ordering 10% extra- for spares, keepsakes, in case you forgot someone, etc! 6. Having an adult- only affair but don't know how to word it? Make it clear on the invite, in the details section. Make it polite and inoffensive. It's totally personal preference as to whether or not you state it on your invites, but it leaves no room for awkwardness down the line. For instance, you could word it like: "To give all guests the opportunity to have a good time without having to worry about little eyes and ears, we politely request no children or babies". Don't! I mean, I understand why you do, but honestly, your guests would much rather it be on the invite than not- it makes their lives easier too, because naturally they will want to buy you something. Whether it's a contribution to your honeymoon (which is the most common request these days) or a gift list, make sure your have this in the information section of your invitations. You could use a cute little poem- there are many online- or just keep it short and sweet, it's up to you, but just don't feel embarrassed about it. 8. Do 'evening guests' need a 'full' invitation? In short, no. Of course, they need to know the where the venue is, when to RSVP by, but I always suggest to have all of this on the one invitation (no separate sheets etc). It saves on costs for you and it is totally adequate and what is expected. 9. How do you introduce the invitations? 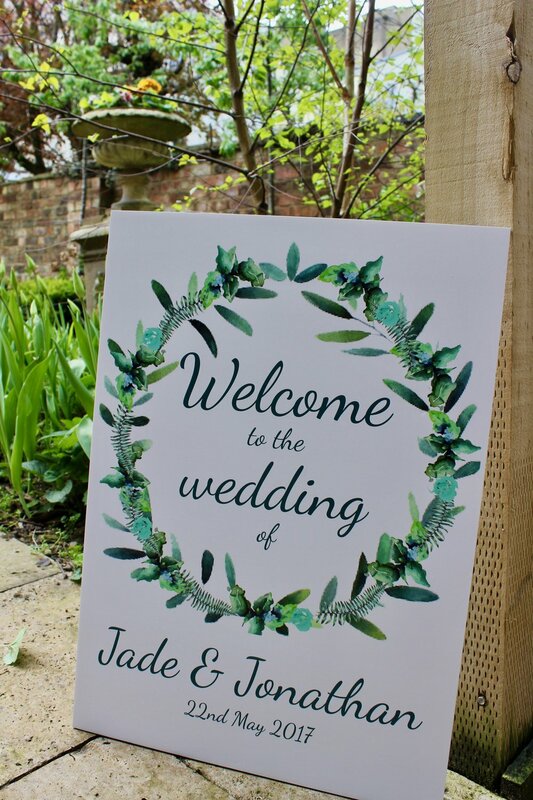 Traditionally, it's always the parents of the bride who invite your guests, for example, "Mr & Mrs Jones request the honour of your presence at the marriage of their daughter, Sarah Smith to Tom Clarence"
Historically, they always paid for the wedding... But it's different today- sometimes both sets of parents contribute to the wedding and sometimes not at all. So I've found that it's been more common that couples request something more informal, for example: "Together with our parents" or "Together with our families". And also, of course, you, the couple can invite your guests, keeping it simple and modern. 10. Just first names or full names on the invites? Again, this depends on whether you're going for a more traditional or contemporary style of invitation. So it's really just a case of personal preference and there is no "right" or "wrong" way of doing it. 11. Can you print our individual guests names on the invitations? 4. It doesn't cost a lot extra, but may look like it does! 12. Can you also print the individual addresses of all our guests onto the envelopes? Absolutely! 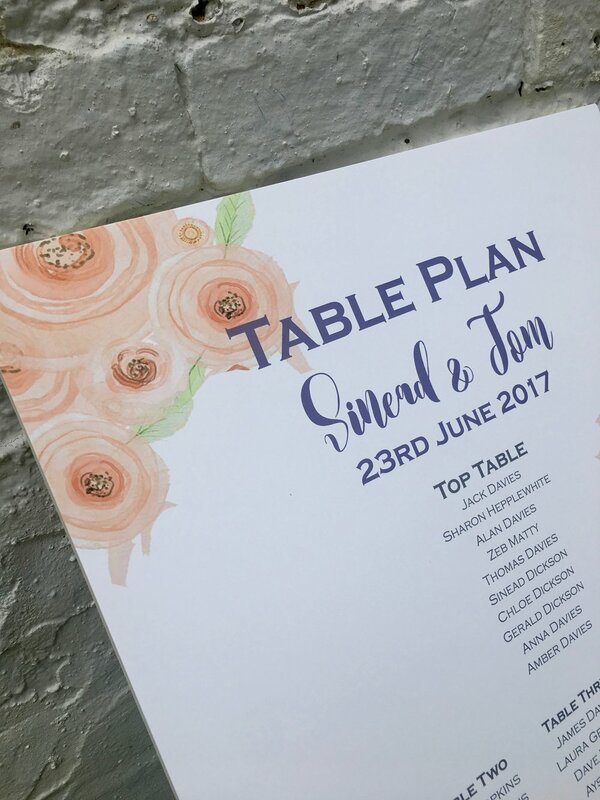 For the same reasons as above (in question no11), it's affordable and it's a nice addition to your bespoke wedding invitations. I hope this has been helpful as I know that it can all be a bit overwhelming when you first start planning for your BIG DAY. I like to make things as easy and as smooth as possible for you and I just want to help towards creating the most perfect of days for you. Don't hesitate to get in touch if you've got any more queries. When it comes to wedding planning, it can get stressful... There's so much to organise; things to book, people to speak to, venues to look at, cakes to try (not all that bad), etc etc. Don't let it overwhelm you- do it step by step, make lists, share the job load and be ahead of the game. Go with suppliers that really know their field, that are personable and confident in what they do- it'll give you the reassurance and peace of mind that you'll need. In terms of wedding stationery, I know that I can definitely help you with all of this, so that's one less thing to worry about! I like to stay in touch with all of my clients throughout the whole process, making sure that everything is on track and nothing gets left to the last minute- I like to minimise the wedding stress levels as much as I possibly can. With some couples, I'm with them from their Save the Dates... I would recommend sending these out 8-12 months before the wedding- if your wedding is abroad, I'd advise to get them out as soon as you can as people like to book time off work, book their flights, etc. Next are the wedding invitations themselves, or for some people, this is the first thing (if you're not doing Save the Dates). I recommend sending these out 4-6 months before the wedding and to start planning/ thinking about them around 8 months before the wedding. For your invites, you need to think about the info sheets that accompany the day invitations, along with the rsvp slips and then the separate evening invites (if you need them). Receiving all your rsvp cards is the next exciting stage... I would definitely suggest creating a spreadsheet for this to record everything in- especially if you've given your guests food options. - Anything you can think of; tokens, stickers, tags for favours, etc. 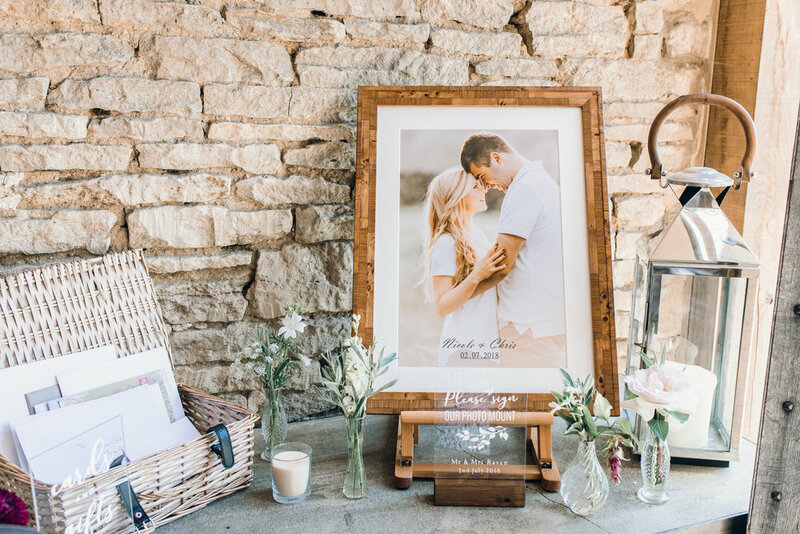 When it comes to organising your wedding day, I understand that there is A LOT to consider. 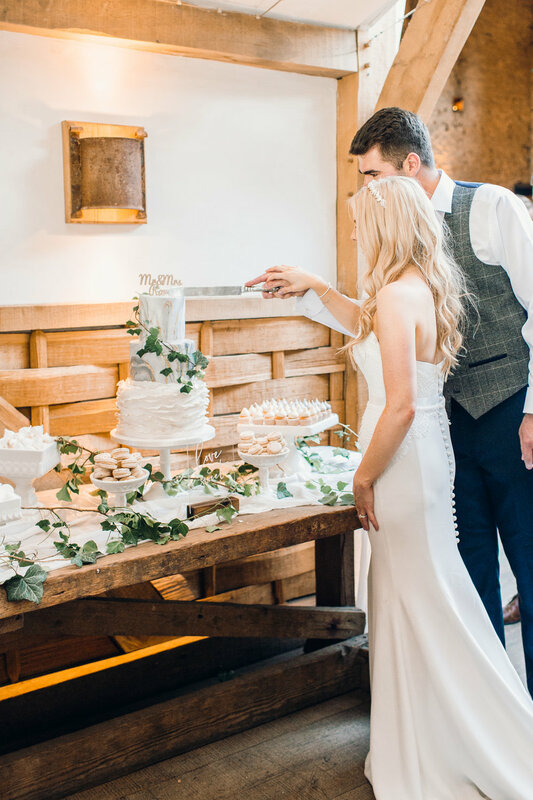 You'll have lists upon lists of things to do, people to see, cakes to devour and wedding dresses to try on. After being in this industry for a long time, I feel that I can pass on my "wedding wisdom" and hopefully make your lives much easier in terms of the wedding stationery side of things... Then at least that's one less thing to worry about!